vincent_admin October 3, 2018 October 3, 2018 Comments Off on 3 scientists sped up evolution in a lab. Their work just won a Nobel Prize. 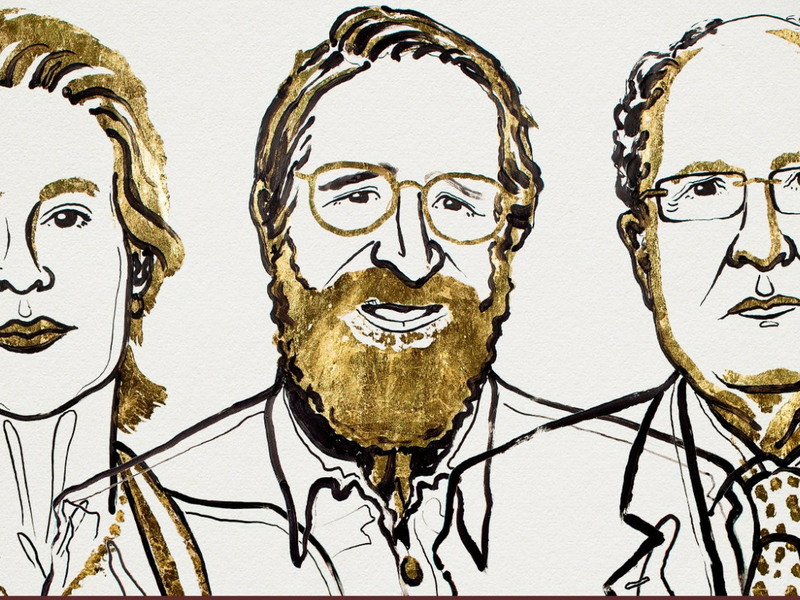 The 2018 Nobel Prize in chemistry was awarded Wednesday morning to three scientists who put evolution to work to design molecules from living organisms that eventually led to the development of cleaner biofuels and drugs for treating diseases including psoriasis. Half of the $1 million prize went to Frances Arnold, 62, at the California Institute of Technology, the fifth woman ever to receive the Nobel Prize in chemistry. The remainder was divided between George Smith, 77, at the University of Missouri Columbia and Gregory Winter, 67, at the MRC Laboratory of Molecular Biology in the United Kingdom. Humans have been tinkering with other species since at least the dawn of civilization, from domesticating dogs to breeding more productive crops. But what the 2018 Nobel chemistry laureates figured out was how to use those same principles of selectively reproducing desired traits to make specific molecules, namely enzymes and antibodies. Arnold tackled enzymes. These are proteins that serve as catalysts, speeding up chemical reactions without being used up in the process. In nature, enzymes do things like break apart long starch chains into sugars, assemble proteins, or transcribe DNA. But suppose you want an enzyme to do something slightly different, say turn a starchy plant like corn into a clean-burning biofuel. The requires tuning biological machinery from a bacterium or fungus with a technique known as directed evolution to break down the corn in a new way. 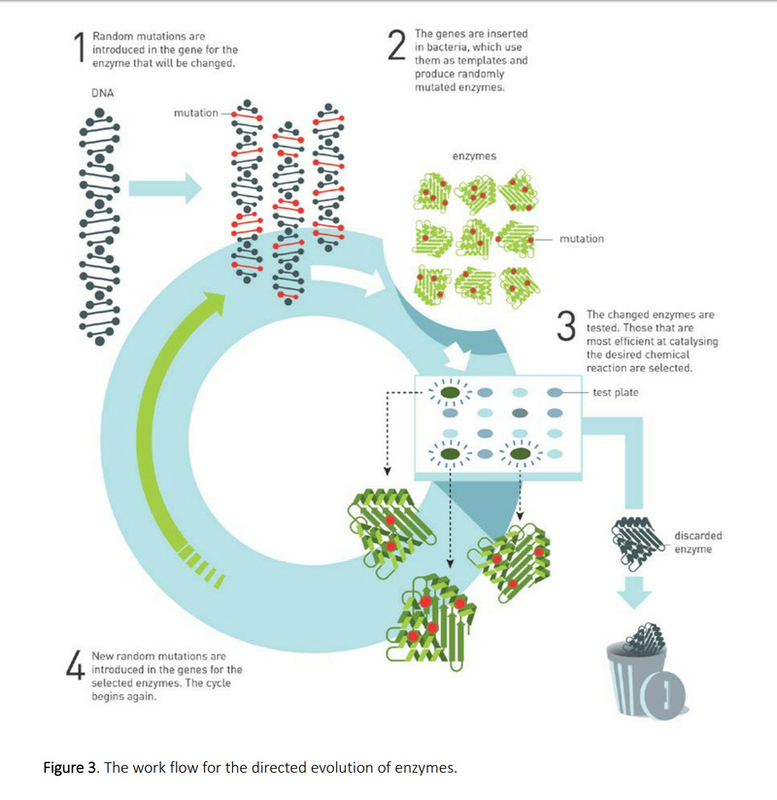 Directed evolution is an iterative process scientists use to design biological molecules like enzymes. It requires inducing some randomness in the target enzyme within an organism like bacteria. 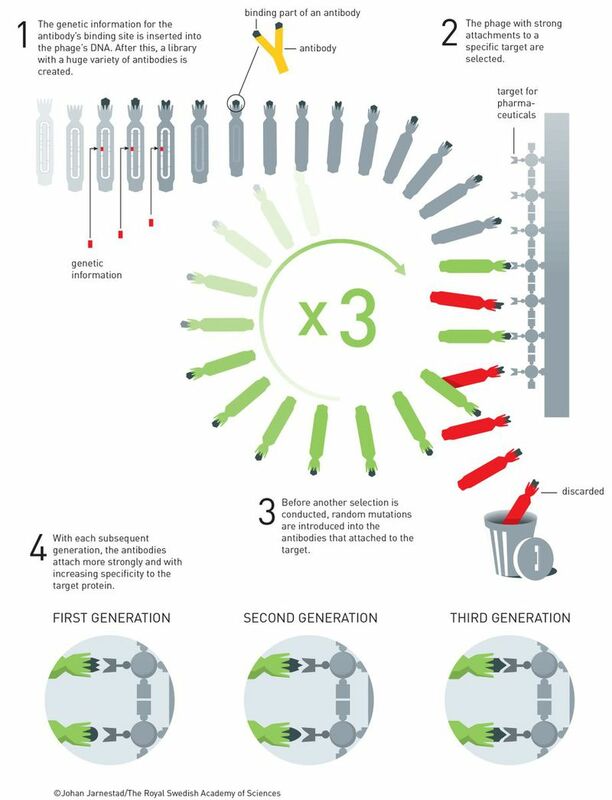 The resulting mutated bacteria are screened to see which ones do the intended job the best. The winners are then cultured, and from their offspring, the best are selected, and then cultured, and so on. Arnold’s methods are now used to produce pharmaceuticals, specialty chemicals, and enzymes for biofuels. The cyclic workflow of directed evolution. Smith and Winter meanwhile worked with a technique called phage display. It’s a process where you use a virus that can infect bacteria, known as a bacteriophage, to generate new proteins. In a series of papers in the 1980s, Smith figured out that the bacteriophage “displays” certain proteins on its surface. He also found that he could alter those surface proteins through the virus’ genome. Since the virus has an outward signal of the genes it caries, it made it easy for scientists to screen swarms of the virus for specific traits, like how well those surface proteins attach to other proteins. The phage display technique allowed scientists to quickly identify viruses that express a particular gene. Winter then coupled the phage display technique with a directed evolution approach. As with Arnold’s enzymes, the viruses that attach the best to the target protein are amplified and screened again until the virus makes a protein that has the right performance. This proved to be immensely useful for creating antibodies, proteins that identify threats for the body’s immune system. Antibodies are very particular about which threats they bind to, be it a bacterium or a virus. Phage display lets scientists rapidly test variations of a protein to find the find that most precisely hones in on a given threat. Using phage display and directed evolution, scientists were able to engineer antibodies to target specific proteins that could help identify pathogens. An incomplete list of trials underway for therapies developed with phage display. The Nobel Committee noted in its announcement that these techniques are still new and we have not yet seen their full potential to fight disease or create new fuels. “We are in the early days of directed evolution’s revolution which, in many different ways, is bringing and will bring the greatest benefit to humankind,” the committee wrote. Donna Strickland became the third woman ever to win the Nobel Prize in physics on Tuesday. She shared the prize with Arthur Ashkin and Gerard Mourou for developing laser-based tools to manipulate microscopic objects. Strickland didn’t have a Wikipedia page until yesterday. That’s a reminder that women in science are still too often invisible. Immunotherapies for cancer are costly, but they save lives. Two scientists behind this approach, James P. Allison and Tasuku Honjo, were awarded the Nobel Prize in physiology or medicine on Monday.